A fiddler and singer, Catherine Planet is also a composer with a degree in vocal interpretation. After graduating, her French cultural roots led her to pursue Masters studies in Louisiana with well-known fiddler David Greely. 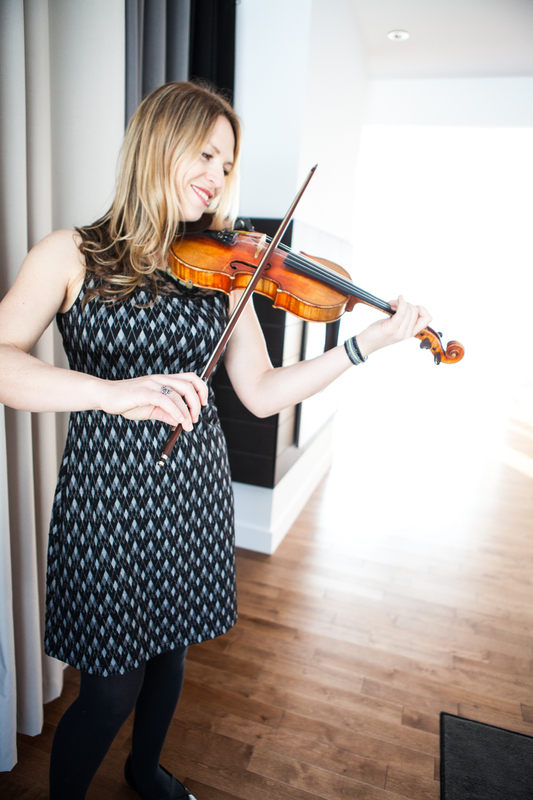 As a traditional fiddler and singer, she has collaborated with numerous artists and performs regularly in Québec, as well as dabbling in the connections that exist between country, blues, rock, pop, western swing and early jazz. She has a passion for improvisation and has made her mark with the Ligue d’Improvisation Montréalaise (LIM) and the Ligue d’Improvisation Musicale de Montréal (LIMM). Catherine also holds a teaching degree and regularly teaches songs, tunes and fiddle in camps and other settings, as well as having created a program for teaching musical creation to kids. A cultural entrepreneur, she has created bridges between traditional music and the city, bringing music into people’s daily lives, in neighborhoods and on the street. She is the creator of La Chasse Balcon, an organization that produces concerts on balconies, public musical events and traditional music sessions like Les Dimanches Trad that takes place regularly in locations that are open to the public for participation (jamming and dancing). Catherine has always loved to juxtapose styles – Cajun with Québécois, modern with ancient – creating threads between the past and the present. She has long been inspired by tradition to create her own artistic color, very much in the moment. Her band Rose Vagabond is a good example, as is her solo folk-pop project, both of which employ cultural traditions to create something fresh that maintains its roots connection. Également détentrice d’un diplôme universitaire en enseignement, elle anime des ateliers de musique pour adultes au sein de plusieurs camps, tant en violon traditionnel qu’en chant de répertoire français. Dans le même élan, elle a mis sur pied des ateliers d’éveil musical et de création pour les enfants.